The Cycling Dude: Cycling Dude 101: The Best of My BikeBlogging! 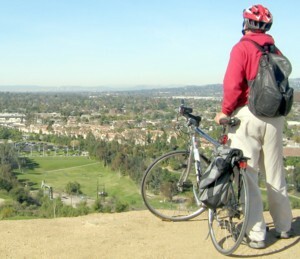 I joined the Blogosphere in the Spring of 2002 and as the months went by friends encouraged me to take the plunge and create a blog about one of my life-long passions: Bicycling. On January 5, 2003, The Cycling Dude was born. As far as I know there are no BikeBlogs around today that had their start BEFORE December 2002 (1, In Jolly Ol' England, is older than me by a few weeks! ), and if there are I'd dearly love to know of them so as to recognize their own pioneering efforts. In 5 years I have written over 900 posts on a variety of people, places, issues, events and things. The Cycling Commmunity, around the world, has responded in a kind and welcoming way, with over 131,300 visitors stopping by, leaving over 650, encouraging, always opinionated, sometimes contentious, comments to what I have written. More than 65 Bloggers (Most certainly more than that since I only know of those who did Trackbacks.) have linked to posts of mine over the years as well. I am also found on many Blogrolls and cycling related websites. This page is my effort to give visitors a way to access some of the best posts I have written over the years, thus providing an informative introduction to what I have to offer the worldwide Cycling Community. As is the nature of things, online, some links in my posts have eventually gone dead, so let me apologize, in advance, for the few of those you will encounter. 2. SPREAD THE WORD! - Cycling Dude: The Flier. 3. AN INVITATION - Looking for news tips, story ideas, and the rare contributor appearance. 4 - 7. Who Am I: A 4 part series (Jan. 2003). 9. Big, or Small, Being a Bicycle is a Great Responsibility (Oct. 2006). 10. The ING in BICYCLING (Dec. 2006). 11. 5 Reasons Why I BikeBlog ( March 2007). 17. Bicycling Columbia, SC: A perspective (Aug. 2005). 18. Cycling in Hungary: The Story of Gergely Biro (Aug. 2005). 20. The way to a great life is to ride a bicycle (Dec. 2005). 21 - 25. Angry Coloradoan suggests Cyclists pay taxes (A 5 part debate from Jan, and March, 2006.). 26 and 27. Raising A Cyclist In 21st Century America (Original Plus Follow-up: Dec. 2006 and Nov. 2007.). 28. Let this post serve as an intro to an Archive that includes my lengthy debates, thru e-mail, with officials of the National Green Party, and the self-described San Francisco "founder" of the Critical Mass Movement, and friends: No more Critical Mass (Nov. 2005). 29. CM Postscript: CycleDog on CM, and on Cycling (Nov. 2005). 30. Love on 2 Wheels (Jan. 2003). 32. The Key (Nov. 2005). 33. The Bicyclist's Song (March 2007). 34. Good-bye! A Short, Silly, Cycling Poem (Sept. 2007). 35. Bad Cyclist: A Song Parody (Oct. 2007). 36. Church of the Almighty Bicycle (Feb.2003). 37. Bike Lanes to Replace Hwy. 101! (April 2003). 38. Tour de France (July 2003). 39. Fred and Barn Contemplate the Bicycle (Sept. 2006). 40 and 41. Unclear on the Concept (Aug. 2007). 42. Introduction to BookCrossing (Aug. 2007). 43. Calling All Cyclists! - Yes, it was almost completely ignored. (Sept. 2005). 44. Katrina: Keep Larry Lagarde and his family in your thoughts (Sept. 2005). 45. Katrina: Larry is Alive!! (Sept. 2005). 46. New Orleans Cyclist responds to River Trail Directors Letter (Sept.2005). 47. Katrina: Recovery from the perspective of a cyclist (Sept. 2005). 48. Pedaling the San Gabriels (Aug. 2003). 49. 2007 Acura Bike Tour: A 14 part series on the Expo and Ride, with pictures (March 2007). 50. Slow Pokes DO Have All the Fun 2007: A 5 part series on cycling in the Malibu Coast and Mts., with pictures (Aug. 2007 - Revisiting an old ride so as to take photos.). 51. 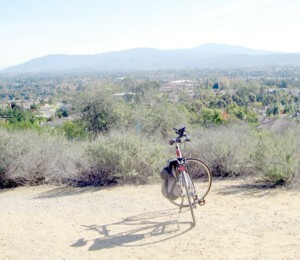 Rolling, Rolling on the Rivers: San Gabriel River Bicycle Trail - A 4 part series, with pictures (Nov. 2007). 52. Seal Beach to Balboa, Ca. (June 2003). 53. Harbor Blvd. : Riding Thru the Heart of Orange County (Nov. 2004). 54. A Fair View of Costa Mesa (July 2005). 55. Mts. to Sea Trail 1: Orange to Newport Beach - With Pictures (Nov. 2006). 56. San Clemente to Oceanside when Access to Camp Pendleton was Restricted (May 2004). 57. Civilian Cyclists Allowed Back on Camp Pendleton (March 2005). 58. Bicycling San Diego: Oceanside to San Ysidro (Aug. 2006). 59. 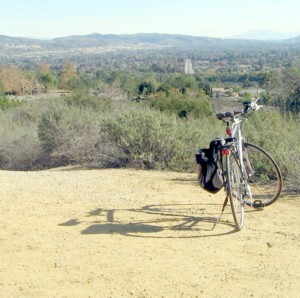 Rolling, Rolling on the Rivers: Santa Ana River Bicycle Trail - A 4 part series, with pictures (Dec. 2007). 60. Congressional Bicycle Caucus: Introduction (March 2005). 61. UK Parliamentary Cycling Group: Introduction (Feb. 2006). 62. Brandon's Champions (March and Sept. 2004). 63. Bicycle-Friendly Berkeley explains itself to neighbors (Feb. 2005). 64. 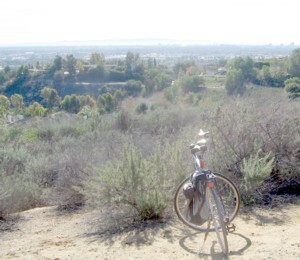 Mr. Cycling Dude goes to Costa Mesa (Feb. 2005). 65. Brooklyn Industries Collaborates with Recycle-A-Bicycle in NY (Feb. 2006). 66. Santa Barbara School the Bikingest in America (Feb. 2006). 67. How to Ride Safely in Traffic (April 2006). 68. Spinning Wheels for Cycling Down Under (June 2006). 69. Kids Health Website Gives Advice to Young Cyclists (Sept. 2006). 70. LACBC is Building a More Bikeable LA County (Sept. 2006). 71. Los Angeles Voice of a Two-Wheeled Future (Jan. 2007). 72. Law Enforcement Bicycle Association (Feb. 2007). 73. A Bicycle Tree Grows in Anaheim (June and December 2007). 74. SFPD Training Video - Bikes Belong In Traffic (Aug. 2007). 75. When Activism Hurts Cycling (May 2004). 76. Local paper takes notice of Cycling Dude (March 2005). 77. My response to the Balish Survey (Aug. 2005). 78. A Humble Hello to Instapundit Readers (Nov. 2005). 79. Angry Motorist Rages at Dude (Jan. 2006). Taking You Shopping, or to Work and often on Rides of Exploration and Discovery. 81. Bicyclists Speak to Motorists (Oct. 2006). 82. Back Bay Bicyclists Bad Bikers? - A 6 part, picture filled series (Oct. 2006). 83. Motorists vs Cyclists in Orange County (Oct. 2006). 84. Walker Wonders if Area Cyclists Care - With Pictures (Nov. 2006). 85. Mother of Accident Victim Angered by Cycling Dude (April 2007). 86. MY POEM: A Bicyclist's Lament (May 2007). 87. Ride of Silence: A 2 part series (May 2007). 88. OC Register Columnist Comments Sensless and Destructive (May 2007). 89. Arizona Cyclist Takes Cycling Neighbors to Task (Sept. 2007). 90. 18 Wheeler vs Cyclist: OC's Rash of Accidents Continues (Sept. 2007). 91. Civil Discourse on the Road: Educate, Do Not Aggravate (A 2 part series with pictures.) (Nov. 2007). 92. Bicyclists and turn-out lanes (July 2005). 93. Cyclists, cops, and sidewalks (Aug. 2005). 94. Raging against Pavement Cyclists in Scarborough England (Nov. 2005). 95. Proposal to decriminalize Sidewalk Cycling in Toledo, Ohio (Nov. 2005). 96. Effort to Decriminalize Drunken Bicycling in S. Dakota (March 2006). 97. Are There Laws about Chaining Bikes to Meters, Posts, and Trees? (May 2006). 98. Proposed Mandatory Helmet Law Protested in Austin (Aug. 2006). 99. Cycling Dude Review: XYZ 26in. Man Deluxe Beach Cruiser - With Pictures (Nov. 2007). 100. Out Damn Splog! (Oct. 2005). Saluting Thomas Stevens, Cycling Pioneer (Dec. 2007). Between now, and Christmas Day, I will complete an update that will bring this list up to August of this year. Man, 5yrs is a lot of road and traill covered my friend! P.S. - Liked the "Behold" photos you interspersed~~~great background and wonderful vistas! Best in Balance and here's to the next five!